Best Electronics Gifts for Babies is the page for you if you are looking for Christmas and Birthday gift ideas for babies. It’s a shopping guide for you and your baby. Get the best electronics toys and gifts for that little baby you love. If you don’t have a baby but are shopping for one you should consider one of the best gifts from this list. 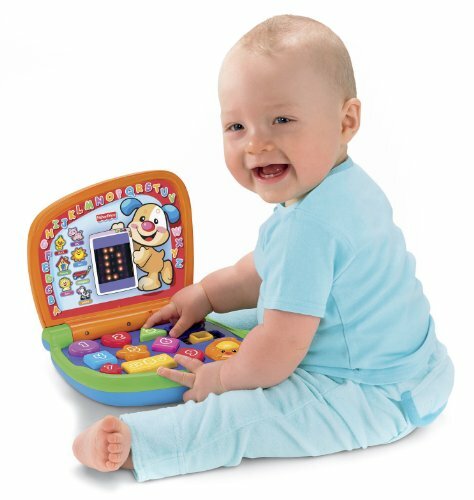 Electronics for babies are affordable, fun and interactive. The world has changed, and even babies are in on the electronics craze. They will need to be prepared…so get your baby one of the Best Electronics Gifts for Babies. Don’t worry, these little toys are baby proof and user friendly for babies! In a hurry? 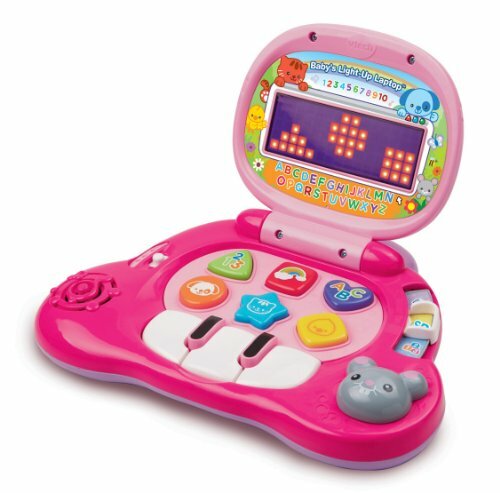 Click here for Baby Electronic Gifts! no one ever minds if you return it. My granddaughter has this Smart Phone and she loves it. She’s 3 now and it’s still one of her favorite toys. She’s had it for over a year, so that says something about how durable it is. 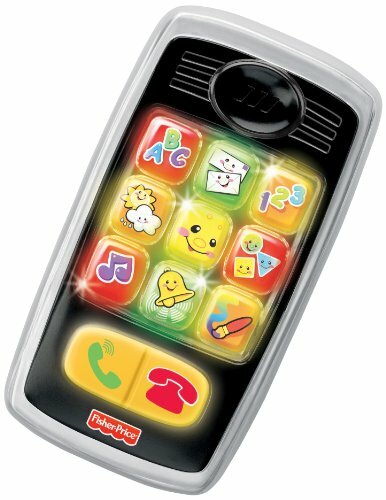 This cool phone is packed full of learning opportunities, with fun sounds, phrases, and more than 10 sing-along songs and tunes! Nine colorful, light-up buttons are easy to press, rewarding baby with words, sounds and greetings. Baby can learn about ABC’s, numbers, shapes, colors, weather, and opposites, while getting a start on conversation skills and early role play. Requires 3 AAA batteries. Pink Laptop for a little girl princess. 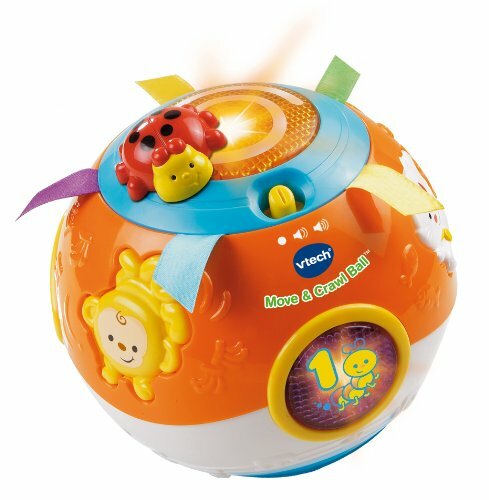 V Tech specializes in Baby electronics. 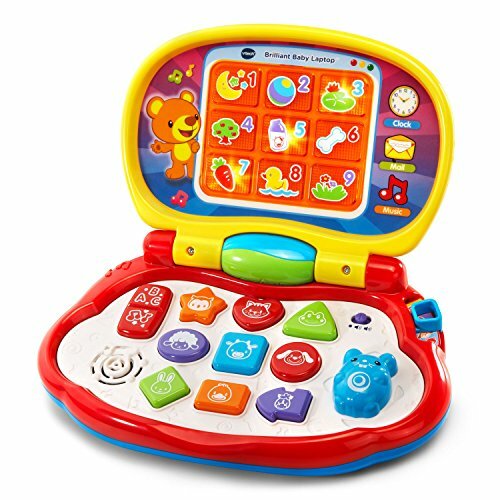 Babies and toddlers love this little laptop because it has all kinds of noises and random phrases. My niece loved this when she was 2, and carried it everywhere. It’s only about 9 inches square and a couple of inches thick, so a toddler can handle it. 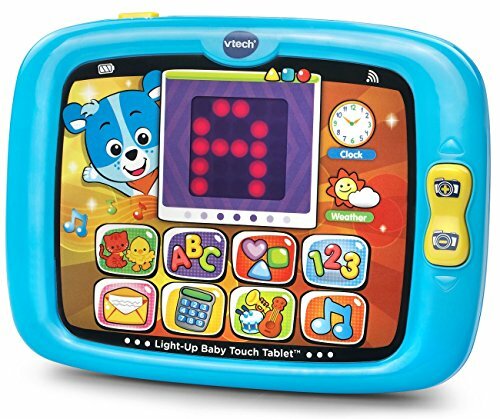 VTech is a new contender in the baby merchandise vendors that “get baby.” The bright colors on this toy tablet summon all little ones. Quite durable too. Fisher-Price is a world wide leader in quality baby toys. Can you imagine working there? Sorry, I digressed…anyway, I looked at this one in the store and there were 2 little twin girls enthralled with one of them. They looked to be about 18 months. I always have been happy with all the Fisher-Price toys I ever bought for my kids. Light, sounds, shapes, buttons, lots of fun for your little toddler! The Fisher-Price Laugh & Learn Learning Kitchen is an interactive and educational toy that will capture your child’s attention and have him learning in the process. 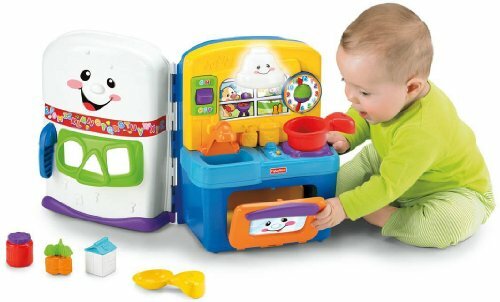 This durable toy kitchen and fridge design features four modes of interaction: Learning, Learning in Spanish, Music, and Imagination. The sounds and songs that play as your child interacts with the moveable features and the fun, food-shaped blocks will have children aged 6 months to 3 years rapt with curiosity. 2 Baby and Parent Approved!